FenwayNation—Red Sox, Mookie, J.D., Bogaerts, Sale, JBJ—Founded 1/27/2000—9-Time Champs: Could The Sox Score Twice In A Trade With The Marlins? Could The Sox Score Twice In A Trade With The Marlins? Yesterday, an "under-the-radar" trade took place between the Miami Marlins and The Bronx Embalmers. The Fish sent right-handed pitcher Michael King and $250,000 of international bonus money to The Evil Ones in exchange for first baseman Garrett Cooper and left-handed pitcher Caleb Smith. The operative pieces in this transaction are: Cooper and the cash. The cash will allow The Pinstriped Posers to sweeten their offer to Japanese two-way star Shohei Otani—pushing them slightly ahead of the Rangers in available International Pool money. 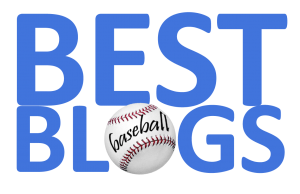 But, more importantly for the Red Sox, Miami getting 1B Cooper allows them to deal away 1B Justin Bour. Now, if the Red Sox are the only team willing to eat all of Giancarlo Stanton's $295 million contract—it could put them at the head of the pack. Boston could also demand another player for their financial largesse—say, first-baseman Bour. Voila! 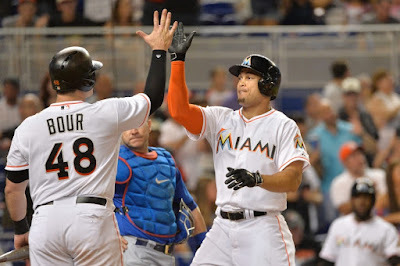 In one fell swoop of a trade, Boston could get their middle-of-the-line-up power stud (Stanton) and a solution at first-base (Bour). The left-handed swinging Bour—in just 108 games last year, hit 25 HRs, knocked in 83 and hit .289 (with a .902 OPS). Bour will turn 30 in May, but it still could be a sweet deal to get a "two-fer" out of Derek Jeter.